Earlier this year we wrapped on a traditional farmhouse in Downers Grove. Fast forward a few months, and a new client approached us to design another farmhouse inspired home, but this one has a bit of a modern touch. 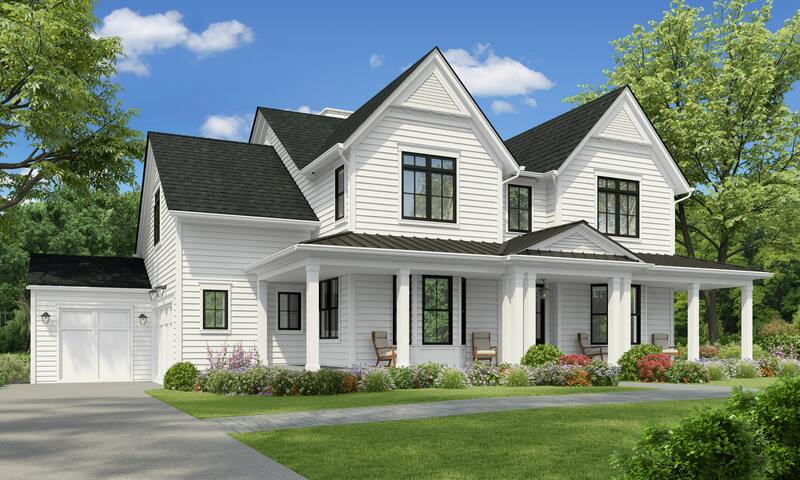 From the metal roof accent, striking gables, tons of black windows and wraparound bluestone porch - so many wonderful farmhouse details have been incorporated. OAKLEY ON GRANT We find ourselves saying this a lot - our clients are the best.This particular client is no different. While living in the city, they approached us to complete their custom build, but they were missing a key piece...the lot! 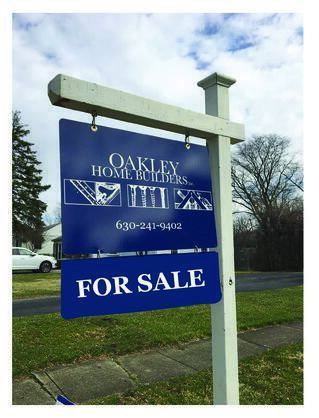 With a vision for an oversized lot and a short list of towns and neighborhoods, we set about leaving no stone unturned in helping them to identify the perfect property. Emails, calls and site visits hit a fever pitch between us and our clients until this lot in Hinsdale on Grant became available After all of the proper due diligence on our client's end (How's the commute to the train? Are there young kids around?) and ours (Is the lot clear of any flooding issues?) - they snapped it up and we set about designing their dream home. The resulting architectual plans and current design selections have come to life relatively quickly in large part because of this owner's clear vision. There are so many show stoppers in (and outside) this home; the spectacular front porch and back patio areas, a window-filled sunroom off of the kitchen, a cozy upstairs reading nook, a master bedroom closet that would make Carrie Bradshaw drool, and a golf simulator and craft room to ensure everyone's hobbies are covered. Details such as the transom windows and metal roof accent are elements that only add to the distinctiveness of this stunning family home. 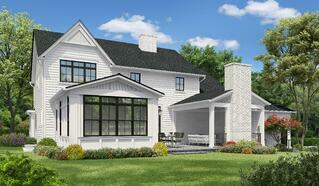 As a Hinsdale home builder, we're excited to bring this home to Grant St in 2018. 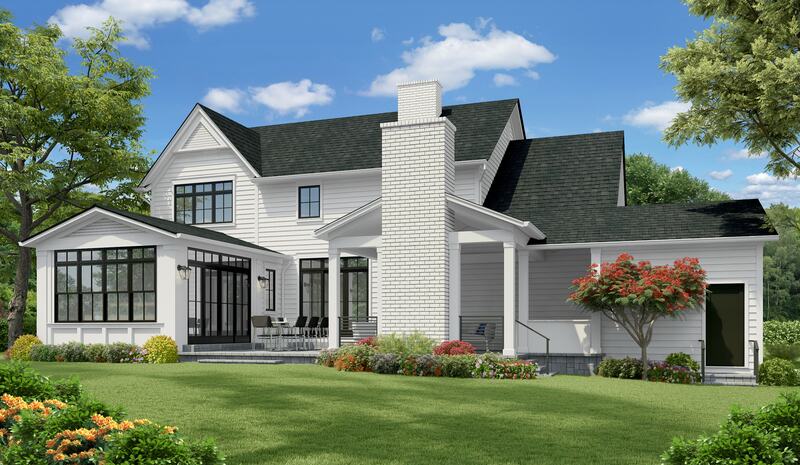 Is a new Hinsdale home of your own on your holiday wish list? 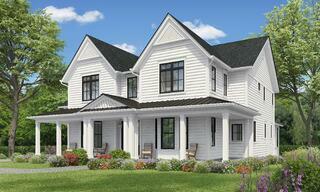 Good news - We have another Hinsdale new construction home in the works. But this one is FOR SALE! Check out some details on 441 E Third Street and be on the lookout for our announcement on this home's stunning architectural plans.